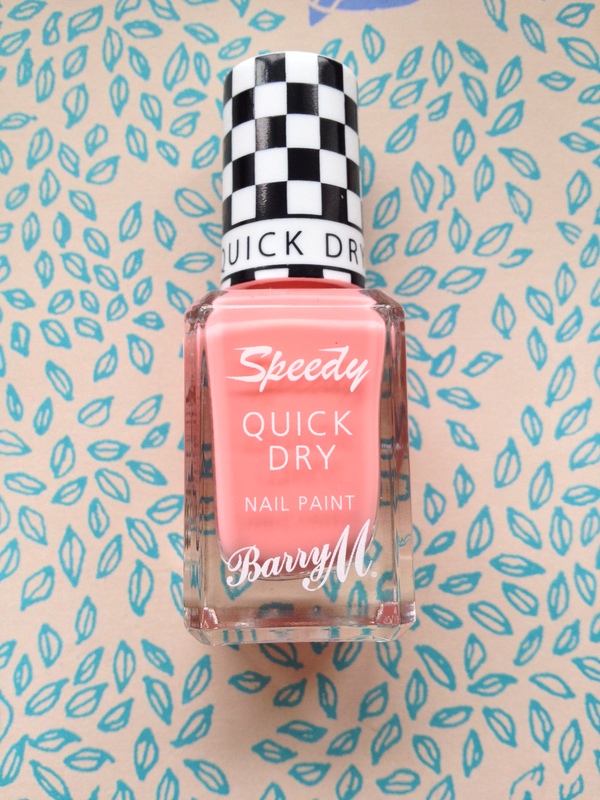 Most people know I collect Barry M polishes, but I had not yet tried the Speedy Quick Dry line, until now. I picked up the In a Heartbeat coral pink-orange colour from my local superdrug because I felt like I needed a bright, spring/summer colour to add to my collection. On their own, most Barry M polishes are around £3.99, however Superdrug are doing a 2 for £6 deal right now, so I picked up another polish too. As always, the packaging is pretty cute, and the handle has a black and white racing flag design, which links in with the line’s name. On the first try, I was surprised to see a different shape to the brush. Usually Barry M has round brushes, but this is a squared off flat shape. Apparently the brushes shape is for “an easier application, a more precise finish can be achieved in just 2 quick coats”. Personally, I am not sure of the brush shape as I found it a little harder and my nails are more of a round shape than square, but perhaps it is something to get used to! When applied, the formula is fairly thin and needs a second or even third coat, but it does seem to dry pretty quickly. 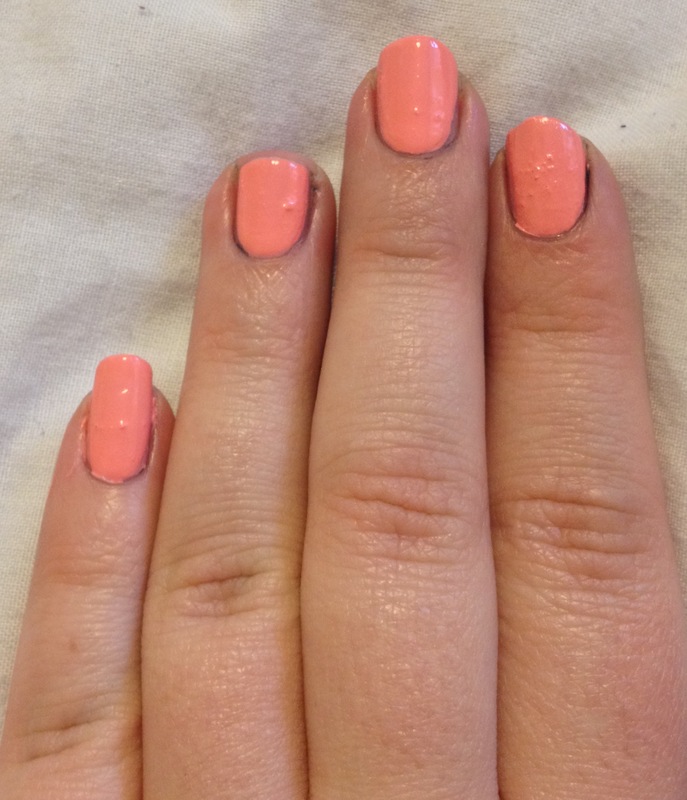 I also applied a clear top coat by Barry M for extra shine and to help it last through the week which I will update! I would recommend In a Heartbeat to anyone looking for a spring/summer pop of colour. It is cheap, easy to use (if you like flat, square brushes), and dries pretty quick like it says! Best brand in my opinion! They will one day, but you can get them on Amazon or ebay too!